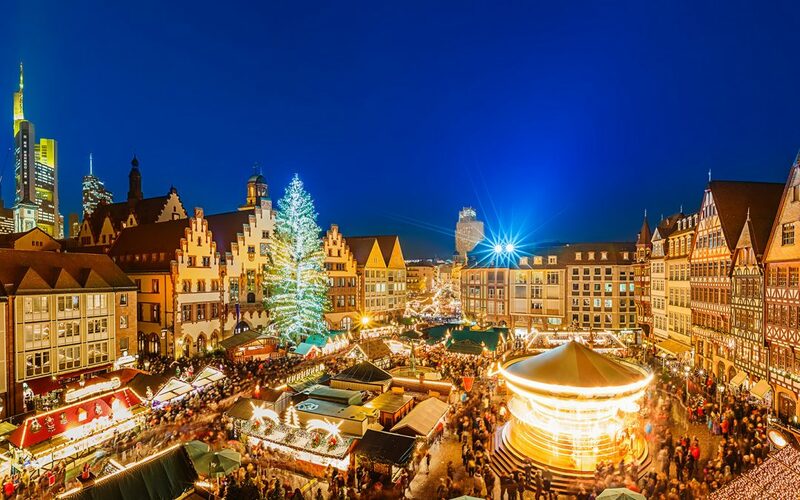 This is Germany’s oldest Christmas market dating back to 1458. It is set among the historic gothic buildings, which offer a stunning backdrop to the market. It even has a model railway, fairground rides and a wide variety of activities for the family such as live concerts and elves workshop. There’s plenty to buy, from regional specialties in food and drink and a delightful Christmas bakery. On top of this there are all the usual shops with over 250 stalls to explore. This is a wonderful Christmas market and is one of the prettiest around. This unique market is dotted all around the city and you can guarantee snow covered wooden sheds. If you want a traditional market this is the one for you. Based in this medieval town, you can get special handmade toys, traditional Swedish food, a variety of smoked meats including reindeer and elk. On top of this there are beautiful Christmas concerts and live entertainment throughout the whole period. It is Prague’s oldest and most traditional Christmas market. It is seen as one of their popular ones and the reason for this is not just the wide range of stalls available, but the traditional wooden huts, craft stalls, pony rides and most importantly the ability to try delicious local food. In the historic Roman town that focuses on tradition so you know this is going to be a special treat. There is a wide range of arts and crafts and the winter treat of mulled wine and ciders. It is famous as one of the best in Britain and has won several awards. This quaint market started in 1903 and has combined a traditional wonder of the markets with more modern requirements. Offering more than just traditional food/drink. You can get all types of gifts, handmade candles and a chance to play with animals as well. Despite being in America this is based on a European style open-air market. It might be reasonably small with only 125 custom designed kiosks but don’t be put off as it is stunningly beautiful to visit and explore, plus a giant ice rink decorated with extreme lighting and carefully placed large decorations. To top it off it is based in amongst the beautiful traditional buildings. This market is award winning, having won in 2017 for the prettiest stalls. It is a true fairy tale market that has been perfectly constructed with traditional huts, and beautifully lit. With traditional music being played you can be sure to feel Christmassy. There are even children’s activities and a day devoted to giving our young ones the ability to explore the stunning fairy-tale woods. And you can be sure to buy something special as most of the stalls sell unique artisan products. 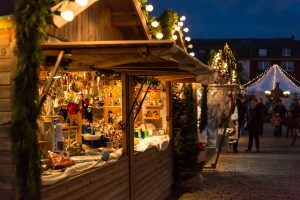 Due to the long winters and the fact that Russia celebrates their Christmas in January, this is a little bit more of a winter market then a Christmas one as it is open all winter until end of February. But trust me for a truly wonderful and special trip. There is ice-skating, a wide range of shows, art exhibitions, and even a winter ball to attend. What more could you ask for? Plus in the stalls there are Russian souvenirs, Christmas decorations and fancy trying some different food? Well you can get all the Russian delicacies and maybe even try some of the famous liquors. Fancy a Christmas in the sun? Then why not head down under and explore this picturesque market. You can even take boat trips and water sports with Santa. This market has beautiful views over the harbour and is decorated appropriately to bring the beauty of Australia to the winter wonderland that is associated with Christmas commonly around the world. There is so much to do from watching things on the live stages, taking your kids to the petting zoo, staying up to see the stunning fireworks and obviously, it wouldn’t be Christmas without a wide variety of children specific activities like meeting Santa. 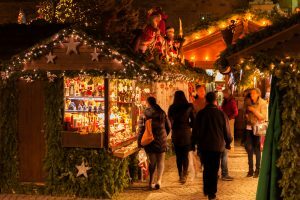 As much as when you think of Christmas markets being a western approach to the festivities, there is of course many across the eastern areas. This one in particular had to be included due to the wonder that is Japan and this market truly reflects this. With a 14 metre high Christmas tower you can be certain you won’t miss the decorations. You can try some of Japanese cuisines, as well as the famous, traditional yuletide wine. On top of this there will be traditional Japanese performances, family fun workshops and a chance to buy some original style, festive ornaments. If you are planning your Christmas break, GoSkippy has made it really simple for you to get stress-free travel insurance at a low-cost price. You don’t want to go away without it.